Palm trees are iconic symbols of tropical and Mediterranean environments. In general, they are a low-maintenance plant, adding to their popularity as a choice for outdoor landscapes and for growing indoors in containers. Growth rate is variable. 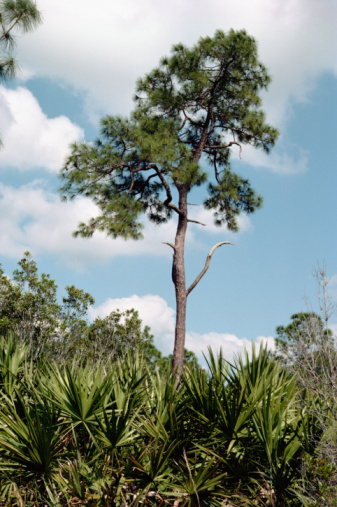 A palm tree that grows fast in Australia may grow more slowly in Miami. One that grows fast in Miami may grow slowly in California. 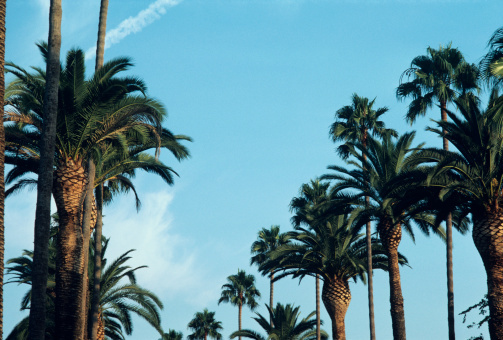 Species, location and climate are the biggest factors in determining how fast a palm tree will grow. 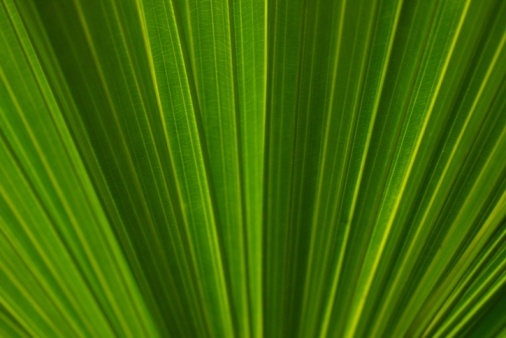 Slow-growing palms can be planted in containers for enjoyment indoors or outdoors. California fan palms (Washingtonia filifera) have a moderate to fast growth rate. They will reach a height of up to 100 feet at maturity in warm climates. They are hardy in U.S. Department of Agriculture zones 8 to 11. Leaves are fanned (hence the name) and can grow as long as seven feet. Because the California Fan Palm grows rapidly, landscapers should consider its growth pattern when selecting the site for planting, as the tree will dominate the landscape. The Mexican Fan Palm (Washingtonia robusta) is a fast grower that is native to Baja California and Mexico. In addition to California, the Mexican Fan Palm is commonly planted as a landscape palm in Arizona, Nevada, Florida, Louisiana, Florida and the coastal areas of Georgia and the Carolinas. It is sometimes confused with the California Fan Palm, but you can distinguish a Mexican Fan Palm by its trunk size. The California can have a trunk as wide as two feet, while the Mexican trunk is slimmer, growing to only about one foot in width. Leaves grow to about five feet in length. The tree produces white blossoms in spring. Once the blooms fade, the tree produces edible berries. The Mexican palm is commonly planted as a landscape tree along streets, in parks and as a lawn specimen to give homes a tropical look. The good thing about the Mediterranean Fan Palm (Chamaerops humilis) is that it is one of the most cold-hardy palms of all. It can withstand the cold winters of USDA zones 4 and 5, and certainly take the heat in higher zones. The Mediterranean Fan Palm, however, is a slow grower. This might only be a concern if you plant it as a landscape specimen for a home where you don't plan to live for a long time. The Mediterranean will grow somewhat short in stature, reaching a mature height of 15 to 20 feet. Leaves are blue-green or gray-green in color, and the tree typically bars multiple trunks. Its short stature and wide spread (which can span from five to 20 feet) make the Mediterranean fan palm a strong choice for home landscaping. The Windmill Palm (Trachycarpus fortunei) is another slow grower, but a good choice for a home landscape. Unlike the Mediterranean, the Windmill has a single, slender trunk. The trunk growth characteristic is interesting in that it grows inversely -- narrow at the base and wider as it grows upward. Leaves grow in a fan shape resembling a windmill (hence its name). Because of the Windmill's compact nature, it can be grown indoors as a container plant and is cold-hardy to zone 4. 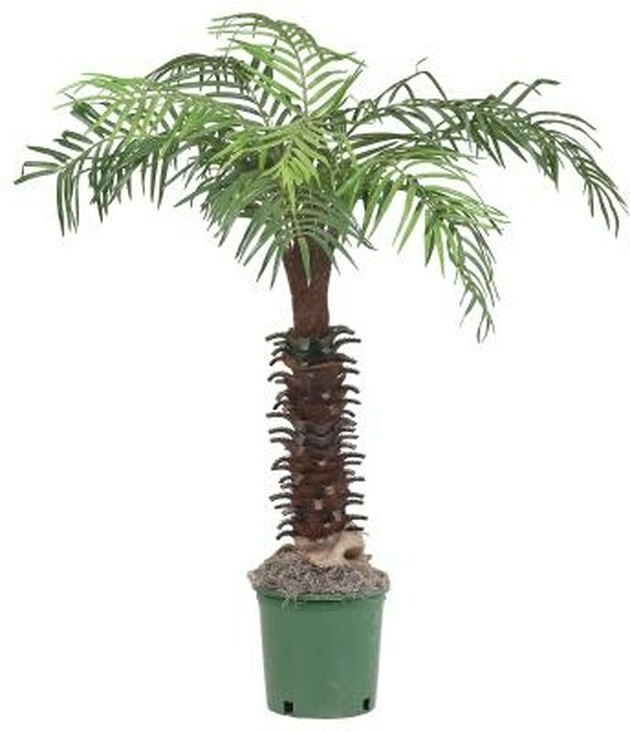 In warmer zones (8 and above), the Windmill Palm should be planted in a location where it gets some shade and protection from hot afternoon sunlight. How Big Do Cedar Trees Get in Diameter?